This is why we need to have a border wall and extreme vetting as we are not getting the best and brightest immigrants. An illegal alien who was released by a so-called “sanctuary city” went on to murder three innocent Americans after his release, a report says. Luis Perez, 23, was released by a New Jersey jail despite that there was a federal detention request filed against him, a request that a New Jersey police department refused to honor. After he was released, though, he moved on to Missouri where he murdered three American citizens. The murderer moved to Springfield, Missouri and found shelter with two men, Steven Marler, 38, and Aaron Hampton, 23, but when they finally kicked him out of their apartment, he returned with a woman and shot both men dead, the Daily Caller reported. He later murdered the woman who was with him during the earlier shooting, presumably to put an end to a witness. Perez, a Mexican National in the U.S. illegally, had been arrested last year by authorities in Middlesex County, New Jersey, but was let go despite being asked by ICE to let them know when he was to be release so they could pick him up and deport him. Middlesex County is located in central New Jersey, just southeast of New York’s Staten Island. It was one of several jurisdictions nationwide the Justice Department warned in 2017 to follow immigration law or risk losing out on federal law enforcement grants. ICE arrested 37 people in July during an immigration fugitive operation in Middlesex County. It found that 16 of those suspects had been released from the Middlesex County Jail even though they were wanted on detainers. Democrats across the country who are weak on crime are putting all of us in danger every single day like this, folks. And by giving Congress back to the Democrats, you have voted to give us more of this. It is amazing the myths that are being told and retold as fact about World War II. One myth I can think of is of Hitler dancing a jig when he learned of the fall of France. The cavalry charge against tanks and others. On September 1, 1939, Nazi Germany invaded Poland, kicking off World War II. The attack was followed by a Soviet invasion on September 17, catching the nation in an inescapable pincer. Even though the ultimate outcome was a foregone conclusion, Polish soldiers put up a heroic defense. With the 80th anniversary of the invasion of Poland and the outbreak of World War II approaching next year, today we are going to take a look at the truth behind some of the popular misconceptions surrounding the invasion. Lancers against tanks. Probably the single most enduring story about the fall of Poland is that of poorly equipped Polish cavalrymen attacking German panzers with lances and swords. In actual fact, however, this never happened. The story was born out of the events of the Battle of Krojanty on the very first day of the invasion. Poland at the time did have cavalry troops, and was in the process of mechanizing them, but they weren’t alone. Small numbers of elite cavalry were also maintained by other countries, most notably Germany and the Soviet Union. Such troops could be used as patrols and sometimes to run down infantry, but they were more typically used like 17th-18th century dragoons: they would travel on horseback but dismount and fight on foot. One exception occurred at Krojanty. Sometime before 7 p.m., the 18th Pomeranian Uhlan(cavalry) Regiment of the Polish army spotted a group of German infantrymen resting at a clearing in the Tuchola Forest inside Poland. At 7 p.m., a surprise charge by about 250 horsemen dispersed the Germans. What the Poles didn’t spot were the German armored recon cars located along a nearby forest road. These opened fire on the cavalry shortly after the charge, forcing them to retreat. Later that day, German and Italian war correspondents were brought to the battlefield, where they noted the dead horses and Polish soldiers. By this time, there were also some German tanks present, which arrived after the actual skirmish. Italian correspondent Indro Montanelli incorrectly connected the dots and assumed that the tanks and the cavalrymen fought one another. He sent home an article praising the courage of the Poles who attacked the superior enemy. The story was quickly adopted by German propaganda as a story underlining the might and technological superiority of the Wehrmacht. 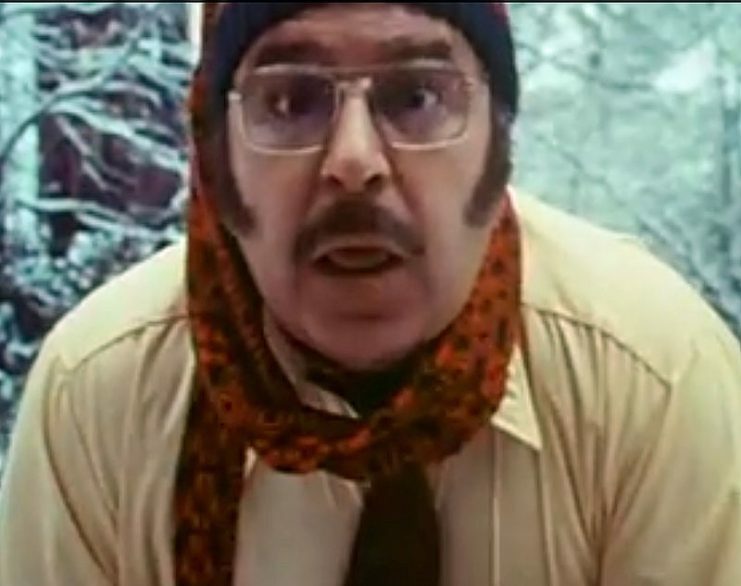 Later it was also picked up by the Soviets who used it as a story of Polish stupidity. Historically, while the skirmish ended with a Polish retreat, it still achieved much. The German 20th Motorized Infantry was greatly delayed, giving time for Polish troops to withdraw and reorganize. In fact, the Germans even considered a tactical retreat which was only prevented by a personal visit from General Heinz Guderian. Had the Poles actually attacked German tanks, it might have actually gone poorly for the invaders. Polish cavalry units were equipped with anti-tank rifles and 37mm Bofors cannons, which had no difficulty penetrating the armor of Panzer I and II tanks. The air force that never flew. It’s sometimes claimed that the Polish air force was destroyed on the ground during the first couple of days of the war. While some planes, mainly trainers and other auxiliary craft, were destroyed, the majority of the pilots actually met the Germans in the skies. The Luftwaffe lost 285 planes and another 279 were damaged, against 333 Polish losses. The ratio is nothing to scoff at, especially considering that the Germans had over 2,300 planes against the Poles’ 400, and that Polish fighters were 15 years older and 50-100 mph slower than the attackers. The Lightning War that fizzled. The invasion of Poland is sometimes cited as the first example of Blitzkrieg (lightning war) but this is false on two counts. Firstly, tactics similar to Blitzkrieg were already used by German troops in the Spanish Civil War of 1936-39 and also saw use in China and Siberia. Secondly, even though journalists did adopt the name during the invasion of Poland, the German attack there wasn’t actually Blitzkrieg. The term denotes an offensive in which armor and motorized infantry break through at a single point and attack targets behind enemy lines to unbalance and panic the defenders. In contrast, German tanks in Poland were not used as a spearhead but dispersed over the area to support slower infantry, with the goal being not a breakthrough the but the encirclement of the Polish defenders. You can learn more about the valiant but doomed defense of Poland, the hardships suffered under Nazi occupation and efforts of Polish patriots to liberate the country on our all-inclusive War in Poland Tour scheduled for August 30-September 9, 2019, which coincides with the 80th anniversary of the first shots of World War II! R.I.P. Lieutenant Sorrell Booke January 4, 1930 – February 11, 1994. I defiantly learned something new about the late Sorrell Brook. The Dukes of Hazzard spent seven seasons regaling television viewers with the antics of a group of southern cousins as they dealt with everyday life that somehow involved leaping over ramps in a banged up but iconic car. Opposing the cousins with all the skill of Barnie Fife on valium stood, among others, Commissioner Boss Hogg, a corrupt and greedy politician that managed to embody every southern stereotype while still being a beloved character to many who watched the show. Played by long time actor Sorrell Booke, the man himself had a much wider range of skill and talents than the bumbling Boss would have some believe. Born in Buffalo, New York, on January 30, 1930, he started acting before he was ten years old. Despite the early start to his long acting career, Booke took some time off to earn an Ivy League education from Yale and Columbia Universities. During that time he became fluent in five languages, including Japanese and Russian. These linguistic skills were put to good use when the United States led United Nations forces during the Korean Conflict. During the fighting, Booke served in counter-intelligence, utilizing his mastery of languages to fight persistent intelligence efforts by Communist forces. Like most who engaged in such work, his actual efforts during the conflict remain hard to discern specifically. Generally, however, counterintelligence efforts included debriefing returned and escaped American prisoners of war, observing terrain favorable to enemy and allied movements, and keeping tabs on enemy intelligence efforts in Korea and Japan. 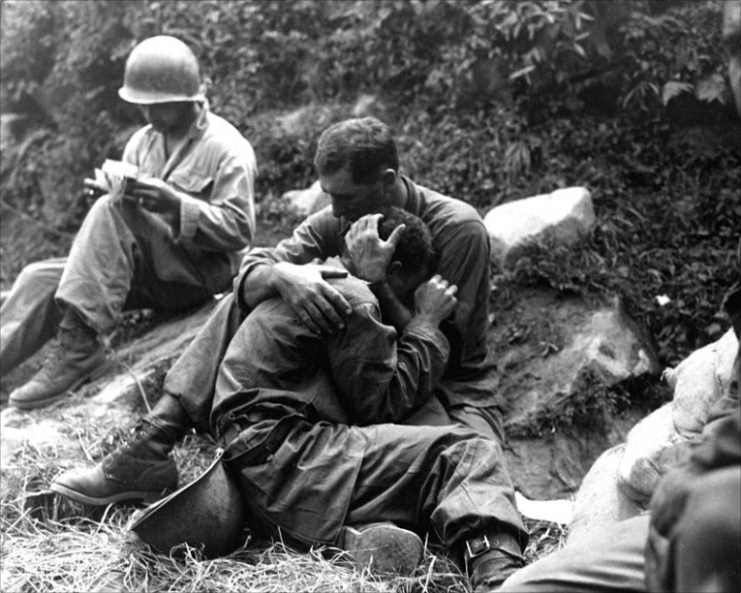 A grief stricken American infantryman whose buddy has been killed in action is comforted by another soldier. In the background a corpsman methodically fills out casualty tags, Haktong-ni area, Korea. August 28, 1950. 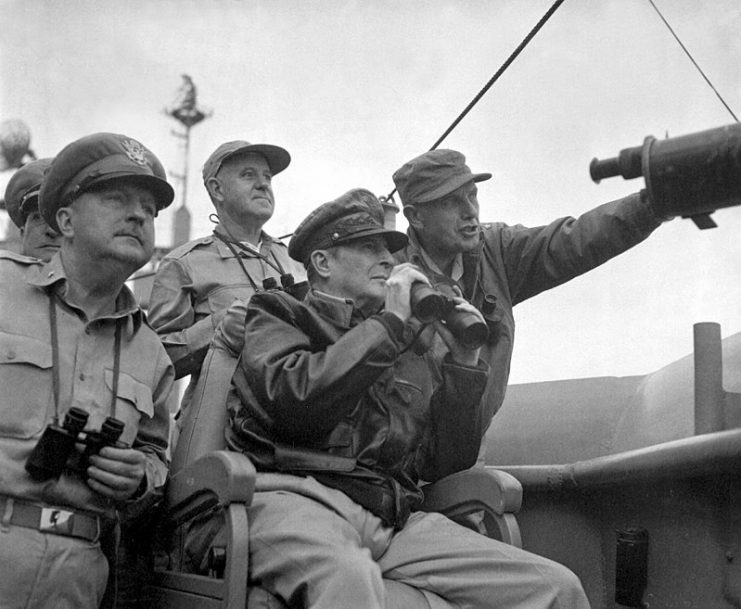 The Korean Conflict was a hodgepodge affair, and its intelligence efforts were no exception. A source on the matter noted that despite these problems, “The system of arrest, detention, and thorough interrogation was effective in that many of the controlling enemy agents were removed from circulation. Despite such success, Korean intelligence and counterintelligence was just as ad-hoc and seat of the pants as the overall conflict. Conducting operations, obtaining evidence, and coordinating with fellow agencies while often working against them complicated matters to almost satirical levels. Through it all agents like Booke did what they could to support the soldiers on the ground and pilots in the air, making sure they could conduct operations without risk of sabotage or ambush. Ironically, Booke appeared in a show that brought to light just how ludicrous some of the Korean Conflict’s antics were. In two episodes of the satirical comedy turned dramady M*A*S*H, Booke appeared as General Barker. 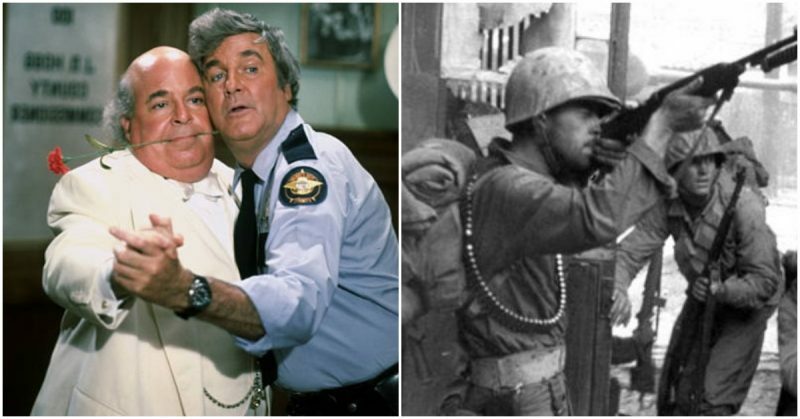 Though he did not appear in an episode featuring CIA Agent Colonel Flagg, Flagg’s efforts, oftentimes counter to those of the Army Counterintelligence Corps (CIC), no doubt would have struck a chord with the man. Like many who served, Booke remained humble about his activities during the conflict, to the point that many noted astonishment of his 007-like efforts during the conflict after he passed away. A humble, jovial, intelligent man, Booke reminds us all of the heroes serving our nation. Though he may not have fought on the front lines, storming Inchon or the hills of North Korea, his efforts were no less laudable and no less worth noting. 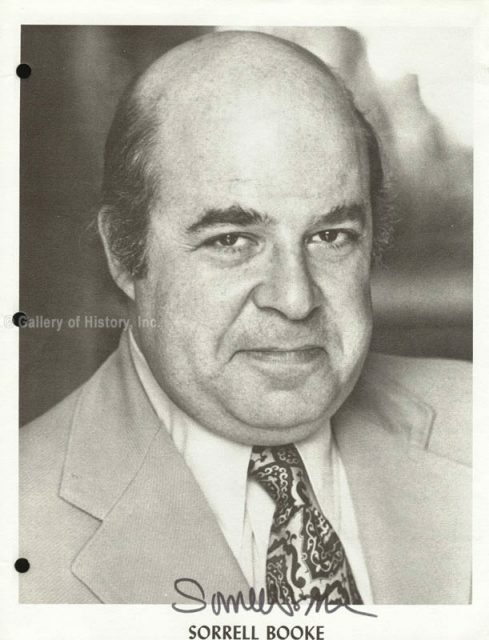 Heroes come in all shapes and sizes, and though Booke needed a fat suit for his role on Dukes, the thought of a white suited, corrupt county commissioner counter-spying Russian, Chinese, and North Korean spies is almost as inspiring as his actual efforts during the war. Thanks to him, the North Koreans learned that when you grab a bull by the horns, you best be ready for a ride. 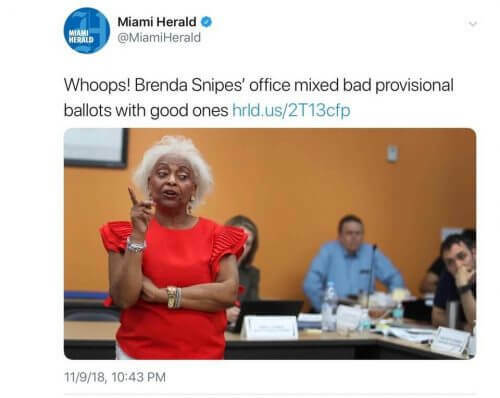 Broward County Election Supervisor Brenda Snipes should have been removed from this post years ago. She needs to be removed from office investigated then prosecuted for voter fraud. A major scandal is brewing in Florida, and it could impact who holds power in the state for years to come. Two key races from the November 6th election are still up in the air in the Sunshine State, with both the governor and senate races too close to call. It may come down to manually recounting ballots … but the person responsible for overseeing Broward County elections was just caught doing something shocking. That county, which includes the city of Fort Lauderdale, makes its population of nearly 2 million a significant part of every election. But a Broward County official is now accused of throwing a wrench in the recount by mixing ineligible, rejected ballots into valid vote counts. According to The Miami Herald, Broward County Election Supervisor Brenda Snipes placed around 200 provisional ballots that shouldn’t be counted into the mix with real votes. Whether this was a mistake or intentional is unclear, but many Republicans are charging that she’s incompetent and politically biased. The key thing to remember is that a ballot isn’t automatically a valid vote. If it is discovered that a person voted twice or doesn’t live in the state, for example, this is obviously illegal and would render their ballots unacceptable. “On Election Day, Broward County collected more than 600 provisional ballots. The vast majority were declared invalid by the county’s canvassing board judges for reasons ranging from registering to vote too late to previously voting to voting at the wrong precinct,” continued The Herald. When concerned observers started asking questions about those hundreds of previously-rejected ballots, they found some alarming facts. “After presenting for inspection 205 provisional ballots to the Broward County canvassing board, it was discovered that 20 ballots with mismatched signatures that had already been deemed invalid and were illegal votes were mixed in with valid ballots,” explained The Blaze. “They were integrated into a stack of legal ballots awaiting being added to the vote totals in the tight race,” the outlet said. In order words, Brenda Snipes apparently either incompetently or maliciously added invalid ballots to the pile while hoping that nobody would notice. Here’s the major problem: Nobody knows for sure how many invalid ballots are now mixed in with the real votes, because it was done in a way that cannot be reversed. “The ballots cannot be identified,” Snipes told Republican attorneys when they raised questions. Media outlets including The Miami Herald rushed to defend Snipes and imply that it was just a minor, honest mistake. “Whoops! Brenda Snipes’ office mixed bad provisional ballots with good ones,” that paper’s headline declared, as if meddling with major elections was just an innocent case of spilled milk. Republicans, however, aren’t buying it. “Trying to STEAL two big elections in Florida! We are watching closely!” President Trump posted to Twitter on Saturday afternoon. Florida Republicans turned to the courts, which quickly blew the whistle on what was happening. “A judge ordered Broward County Supervisor of Elections Dr. Brenda Snipes to allow immediate inspection of voter records during an emergency hearing Friday,” reported WPLG News. In simple terms, it’s a mess. In a democratic republic, counting the people’s votes is important — but so is ensuring that corrupt officials don’t tip the scales and invalidate authentic ballots. Flooding a recount with unlawful votes is not much different than sending ineligible foreigners to skew an election — and if liberals truly care about election meddling as they claim, they need to take this seriously. Buying guns after a mass murder happening is not what you would expect in Commiefornia. This proves that a few sane people left there. After every tragic crime, the left reliably plays the only tune they seem to know: Guns are to blame. Yet more and more, people aren’t accepting that narrative. In the city of Thousand Oaks, California — the location of a recent mass shooting — many residents aren’t blaming firearms for crime. Instead, they’re buying one themselves. On Wednesday, a shocking incident rocked Thousand Oaks and the nation. A 29-year-old man walked into a popular bar and opened fire with a handgun, leaving 12 people, including a sheriff’s deputy, dead. California has some of the strictest gun laws in America, and the bar was already a “gun-free zone.” None of this, of course, stopped the madman, and it seems that even on the west coast people are embracing self defense over gun control. According to USA Today, VC Defense — the only gun store in Thousand Oaks — has seen an influx of people who want to purchase firearms in the wake of the mass shooting. The national newspaper also profiled a young woman named Molly, who expressed the same thing. The tragic shooting motivated her to understand guns, not reject them. A USA Today reporter named Gus Garcia-Roberts stayed inside VC Defense for several hours, noting the kinds of people who came in. What he saw won’t surprise most conservatives, but it does go against the frequent narrative. Gun owners don’t fit the liberal redneck stereotype. “Some were small business-owners suddenly feeling vulnerable. Many were first-time buyers suddenly seeking weapons for self-defense,” stated the national newspaper. “A banker wearing business casual, designer glasses and a gold Rolex inquired about concealing a sidearm under a tucked-in dress shirt,” it continued. A firearms trainer and former corrections officer named Mike Rowan confirmed that despite the image projected by the media, gun owners come in all types. As the reporter pointed out, VC Defense was busier than ever, and a lot of its new patrons kept bringing up the same topic: How California’s laws failed to stop the bar attack. Every sane person is saddened and outraged when an incident like the Thousand Oaks shooting happens. But there are two ways to respond: Pretend that more laws in an already law-filled state will stop the next crime, or face reality and become responsible and prepared to face threats. It’s refreshing that more people are deciding on the latter. Violent crime will never be eradicated, but it can be opposed and stopped when it happens. These women have cemented their place in history in spite of the fact the drive-by media has chosen to ignore them. Young Kim(R) has made history by becoming the first Korean-American elected to Congress by ousting Gil Cisneros(D). This week’s midterm elections have seen many women making history in their states. But some won’t be given any media recognition for their achievements, simply because they are Republicans. Here are some of the Republican women who scored wins in Tuesday’s election. On Tuesday, voters put Californian Young Kim on the verge of became the first Korean-American woman elected to Congress, the Golden State’s 39th Congressional District. An immigrant from South Korea, Kim lived in Guam and Hawaii before moving to California to attend the University of Southern California, according to NBC News. A self-made businesswoman, she managed a clothing manufacturing firm before starting her own business in the same line. She spent 21 years working for GOP Rep. Ed Royce, starting when he was a state senator. Working in Royce’s office, she built up experience in the district as a director of community and Asian affairs and in 2014 she became the first Korean-American Republican woman to win a seat in the California House. She is leading the race for Congress, but it hadn’t been called yet, according to Fox News. Tennessee just elected its first female senator ever, despite the efforts of liberals and celebrities like Taylor Swift. Former Rep. Marsha Blackburn, who represented Tennessee’s 7th Congressional District, is known for her staunch conservative views, supporting traditional marriage and the pro-life movement. According to her website, Blackburn has also focused on fighting human trafficking. She was at the forefront of the crusade to shut down backpage.com, a website which was investigated and found to have facilitated human trafficking. South Dakota also welcomed its first female governor on Tuesday. Republican Kristi Noem served previously in the South Dakota House of Representatives before her gubernatorial run. Before politics, she helped run her family’s farm while building up college credits, according to an interview with Human Events. Her time as a state representative saw her opposing Medicaid expansion in her state, with a focus on cutting taxes. She also promoted legislation to fight sexual slavery and is strongly pro-life. According to The Wall Street Journal, she has promised to maintain a 100 percent pro-life voting record in Congress. In Iowa, Republican Kim Reynolds, the first female governor of the state, won a full term, sending local Democrats into a tizzy. Reynolds, the former lieutenant governor who became governor in 2017 when former Gov. Terry Branstaad was appointed U.S. ambassador to China, has helped bring to fruition one of the country’s most restrictive anti-abortion laws, according to the Des Moines Register. The law prohibits most abortions when a heartbeat can be detected. While this election has been characterized by the media’s focus on demographics, little attention has been given to the wins these women achieved. The same liberals who applaud the what they see as forward thinking by Democratic voters usefully ignore the trailblazing done by Republican women this election cycle. But Republican women make history, too. As Rush Limbaugh calls her Maude Behar is showing her ignorance of the history on America. There is not any Gerrymandering involved in electing Senators as each state has only two. Joy Behar of “The View” falsely claimed Wednesday that Republicans maintained control–and even gained seats–in the Senate this election cycle because of gerrymandering, a process that impacts congressional districts. ABC’s Matt Dowd had to reply that the Republican Party’s ability to control of the Senate while obtaining less votes in the national popular vote was not a result of gerrymandering. “That’s the Constitution,” he said. Behar’s remark came in response to Dowd remarking that popular support for Democrats was outpacing Democratic gains. He noted President Donald Trump won the electoral college in 2010 but lost the popular vote. Likewise, Democrats received 8 million more votes than Republicans between the various Senate races last night, but still lost seats. While Behar blamed a Democratic minority on gerrymandering, the process has nothing to do with the election or distribution of senators. Gerrymandering is the manner in which congressional districts are drawn to favor one political party or candidate. Senators are elected at the state level, so state lines determine electors, not congressional districts. I don’t think people are ready for the crisis that will follow if Democrats win the House popular vote but not the majority. 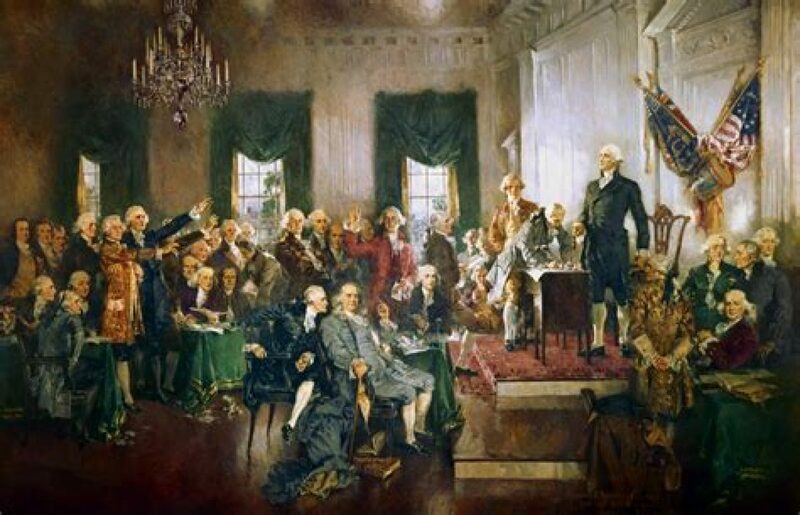 There won’t be free and fair elections in the United States until the Senate is abolished. Democrats have a 12-point lead in the overall popular vote for the Senate and have lost three seats. Behar’s error aside, Dowd’s original comment was misleading in its own right.